On Jan. 21st 2019, Morel eyewear was published in a 20/20 Europe photoshoot. 20/20 Europe aims the spotlight on creator clothes and eyewear in its article Luxury Icons. In this photo gallery, numerous are the quality items featured. 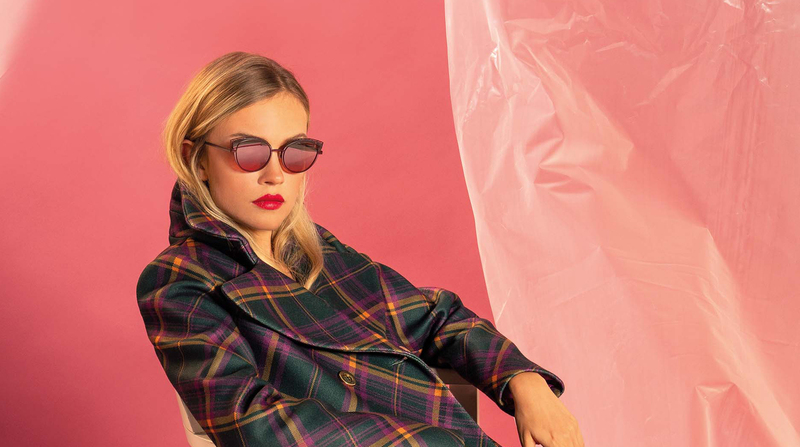 Among the daring Neubeu frames, the intriguing blue Vanni glasses and the many pieces from the italian haute-couture creator Think & Believe, Nastya Timoshenko wears the 20037K Koali sunglasses with a nonchalant attitude. The photograph featuring Morel displays the most up-to-date trends, colorful minimalism, just as Ryan McReady decribes them in his inforgaphy about the upcoming 2019 graphic design trends. If the backdrop reminds you of something, it’s beause it is really close to the color of the year recently revealed by Pantone on which we just wrote an article ! To keep up with 20/20’s latest, follow them on Twitter, Facebook and look up their website.